Who Do I Keep Losing in Blackjack? 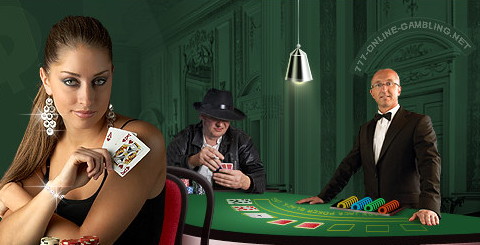 At first sight it seems that there`s no more advantageous game for the player than Blackjack. You know the statistics well, meticulously follow the basic strategy and tips from skilled gamblers, but your losses are still bigger than your winnings. How come? The reason lies in human foibles, or, if you don`t like the word, drawbacks. Examine most typical issues we consider in this article and think if some of them concern your playing style and your character. First of all, not everyone can control their excitement. Some players feel uncomfortable as winners. Upon hitting a large sum, they try to part with the money as soon as possible, disguising it as high bets. This concerns all gambling games. Now let`s talk about reasons for blackjack failures, and first of all – efficiency of the basic strategy. Numerous variations worked out within many years makes nonsense out of the basic strategy, which can`t bring you continuous winnings. Have you noticed that the basic strategy and even the card counting method are considered at many casinos` sites? Land-based casinos even offer printed instructions on the basic strategy. Why are casinos not afraid to teach their customers? The matter is wide spreading of theoretical knowledge on blackjack increased casinos` revenues. Firstly, it encourages interest for the game; secondly, while appearing simple at first sight, those strategies are intricate and rather complicated. Often players who aren`t capable of counting the cards correctly, make unreasonably high bets and lose. Within a couple of weeks it may seem to you that you a gambling expert. However, only stable winnings indicate that you`ve become a pro. Otherwise, you`re not good at card counting yet or you overlook some important issues. Increasing your winning odds by taking the house edge down, those strategies can`t protect you against prospective losses, though.